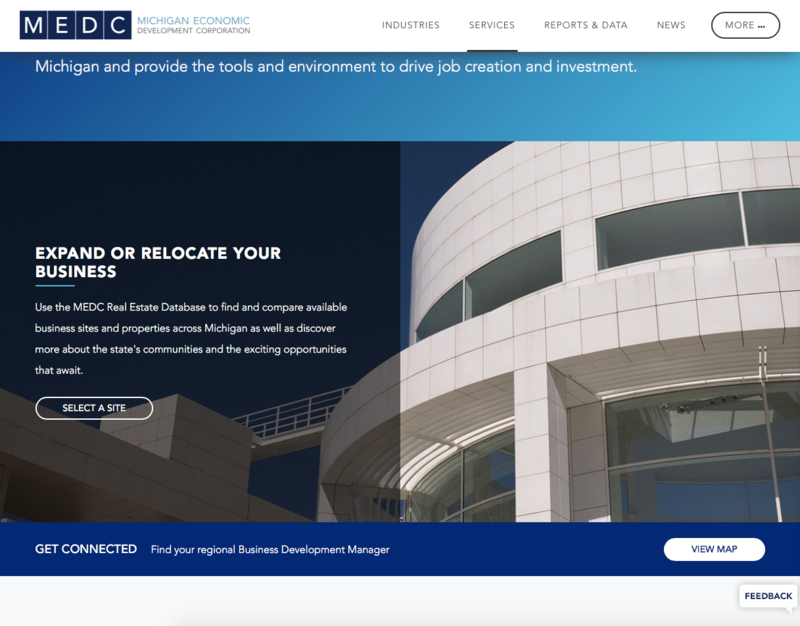 The Michigan Economic Development Corporation has launched a revamped website to support initiatives to market the state, attract private investment and build vibrant communities. The michiganbusiness.org website features improved usability, enhanced navigation, and includes original content on MEDC programs and resources, as well as stories from across Michigan. One of the new features of the site is a dedicated media room to provide media with easy access to information including press releases, MEDC media contacts, bios, FOIA procedures and policies and more. Coming soon, media will also be able to access a photo and video library through the media room. Another new feature on the site is the launch of Handshakes, which features original stories of economic growth, with insights from the people who worked together to get the job done. This dynamic content moves beyond the news cycle to explore broader themes in industry and economic development and provide valuable insights and advice for members of the business and economic development community. A homepage that better tells the “Why Michigan” story. This content highlights the exciting business developments happening in the state and the work MEDC is doing to help create a better place to live, work and play. A dedicated section that allows users to search for reports and data quickly and easily. All MEDC and legislative reports can be found in this searchable section as well as fact sheets, MEDC scorecards, and more. A revamped services section providing resources related to site selectors – including a Real Estate Database – entrepreneurial services, the Pure Michigan Business Connect program, International Trade resources, Capital Access programs and more. This section also provides information on other statewide economic development partners.